Musing: The Rise, Fall, and Rise Again of Adventure. Sam and Max. A dynamic duo that almost fell off the face of the earth. On this mid-week post I proclaim my love for Telltale games. The reason? They make games that other companies stopped making because they don’t make money. Not just any games, but point-and-click adventures, relics from the 90’s that is very near and dear to me as a gamer and a writer. Dubbed an adventure game back then, it was telling a deep and engaging story while other games were boxes shooting other boxes. It didn’t take long for the ‘adventure game’ to reach a golden age spearheaded by a company called Sierra Entertainment. Initially these adventure games like its predecessors (namely Zork) were text driven and needed a great deal of patience to play. It wasn’t until the creation of the SCUMM or Script Creation Utility for Maniac Mansion that adventure games became more intuitive. Not that the text based aspect was bad, but it was difficult to navigate your character and pick up on all the fun extra details at the same time. For me at least, the inclusion of the mouse gave the games a stronger exploration feel rather than barking orders at your character and getting “I don’t understand that” every five seconds. It was even lampooned in later games. 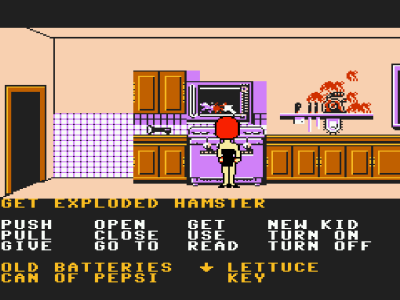 Maniac Mansion, made by Lucasfilm games (Lucas Arts) a branch of the studio of Star Wars fame, was the first mouse based Adventure game I played (though I played it on NES) and found it amazing. The biggest selling point to me was the fact that you could pick two other kids besides the generic ‘I must save my girlfriend’ Main Character, Dave. Each of them brought a skill set and an attitude to the fold. This is a feature that is rarely used in the genre. With the inclusion of the clicking engine, exploring was a treat and there were oodles of fun dialogue that actually pulled games closer their interactive ficton roots. A boat load of games followed. Not all of them were made by Sierra, among them one of my personal favorites like The Adventures of Willy Beamish. Among those, Lucas Arts fired off hit after hit: Monkey Island, Zak McKracken and a surprisingly good Indiana jones game based on the Last Crusade. Sierra kept up the pace with Kings Quest, Space quest, and Quest for Glory. (P.S. They really like the word quest.) There was the grittier police Quest series and took a raunchy edge with Leisure Suit Larry. One thing stayed constant, they were all amusing, and threw you in the middle of a well told story. There were consequences to your actions that led to failure and even death. There was even an extremely disturbing interpretation of story called I Have No Mouth and I Must Scream. Look that one up at your own peril. Its concept alone makes my skin crawl. Zork, the text adventure Giant, even broke out a point and click adventure Return to Zork. Want some rye? ‘Course ya do. Remember kids, don’t take drinks from strangers. Especially if it smells like rocket fuel. I’ve gotten sidetracked here, but to understand the present you must know the past. Lucas arts broke into the 90’s with the new standard of Point and Click Adventure games. The sequel to Maniac Mansion: Day of the Tentacle, Sam and Max, Indiana Jones and the Fate of Atlantis, and others. But around 1995 the genre started to dwindle. Despite two great games, Full Throttle and Grim Fandango spearheaded by demented (I mean that in a good way) mind of Tim Shaffer The Genre started to dwindle, by the year 2000 only Monkey Island had hung on, and Lucas Arts shortly after came to the conclusion that they were no longer profitable. 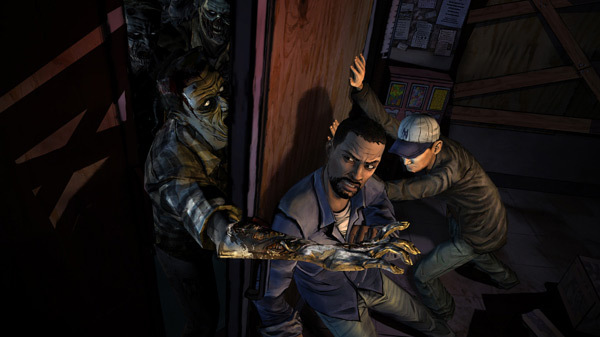 It wasn’t until 2006 when Telltale games came to the rescue. Founded in 2005 and releasing a few titles they managed a miracle. 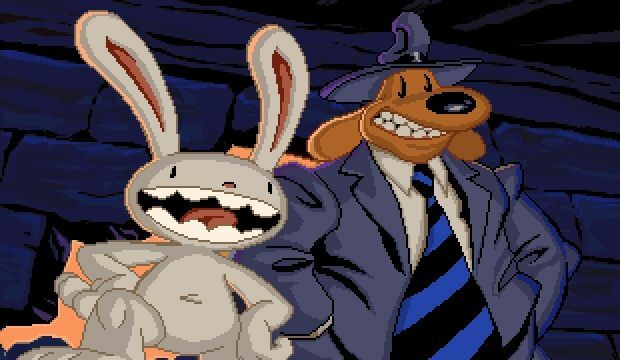 Against all odds they haggled with Lucas Arts and claimed Sam and Max from development hell. Between then and now, they have made successful bids of classic franchises and a few breakthrough originals. They received good enough press to expand their horizon and bring in franchises that weren’t even PaCAs in the first place. They basically take on stories that would be well presented as an interactive fiction. 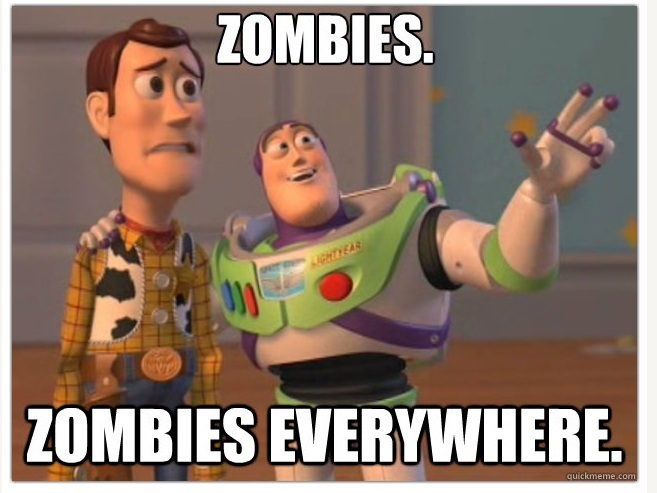 Recently they released their take on the popular zombie comic book / TV series. When they announced it I was skeptical. Similar to the skeptic feeling had when Pixar announced “Cars”. Now that I’ve played through four of the five episodes I find myself enthralled by the execution. It’s boggling to me that this is the same company that led Marty Mcfly through another adventurous romp through 1985 and back. Out of respect to the story telling in the Walking Dead I won’t disclose anything that is remotely spoileriffic. In fact I’m inclined to not put a single screen shot of it on here, but I will. Lee is a refreshing take on a real person in a Zombie Apocalypse. It’s also nice to see an African American protagonist that isn’t steeped in stereotype. The game looks great. It captures the feel of the comic book just by looking at it. And the main character, Lee Everett, is a refreshing main character. He is presented as a blank slate with adjustable expression. You choices shift his demeanor impressively and you can buy into it because the story doesn’t bog you down with his back story. This isn’t a game about Zombies. It’s a game about people with Zombies in it. I lower my head in shame a bit ever doubting Telltale on this. If you find yourself compelled, just buy it. If you nose around online for screens you’ll just ruin some of the best moments and surprises of the story. Long story short (too late) I offer props to Telltale for putting the shock paddles to the PaCA genre. It’s an inspiring comeback story if I’ve ever heard one. This and the upcoming Double Fine Adventure makes me very hopeful that the Adventure Genre is not only alive and kicking, but has a bright future ahead of it.